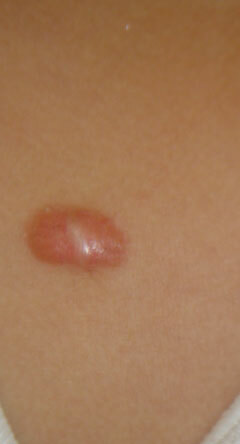 Keloids, described in the Smith papyrus about 1700 ﻿BC, were first analysed by Alibert in 1806. 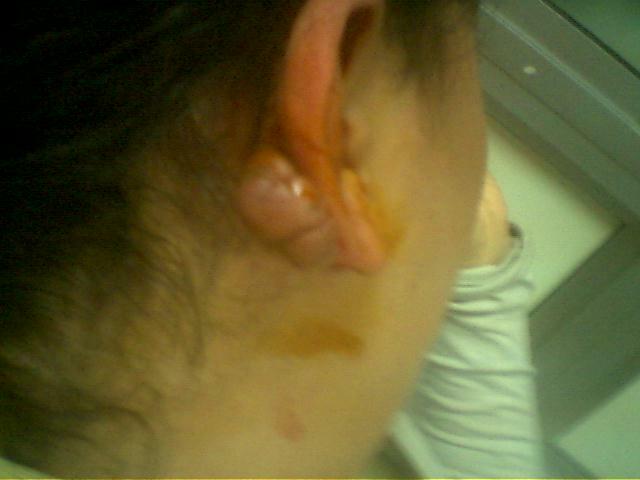 They may result from a variety of cutaneous injuries, inflammatory disorders, burns, trauma, or iatrogenic surgical insult . 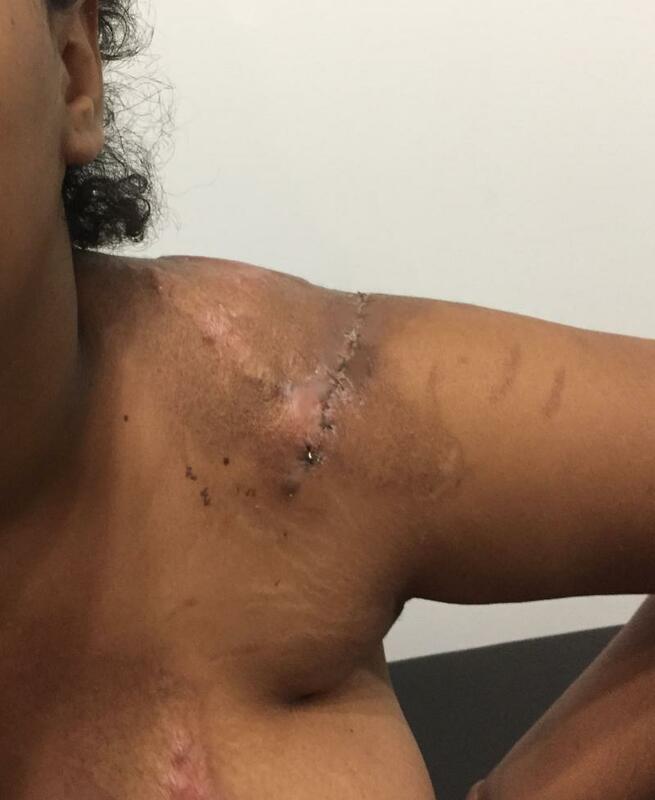 Keloids could be differentiated from hypertrophic scars in that in the former, excessive scar tissue proliferates beyond the confines of the original lesion, does not regress over time, and tends to recur following superficial excision. 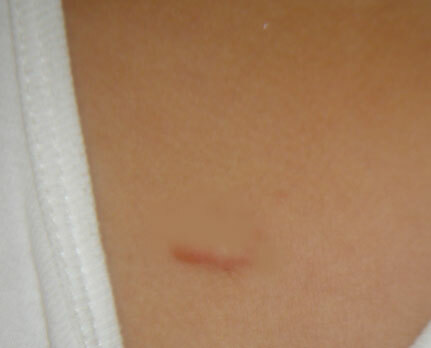 Various theories were advanced to explain the underlying aetiology and pathogenesis behind keloid formation, and as expected, the less the known about the pathogenesis of a disease, the more the number of hypotheses suggested to explain it. The basic underlying pathology probably lies in excessive proliferation and secretion of abnormal connective tissue fibroblasts, coupled with deficient matrix degradation. 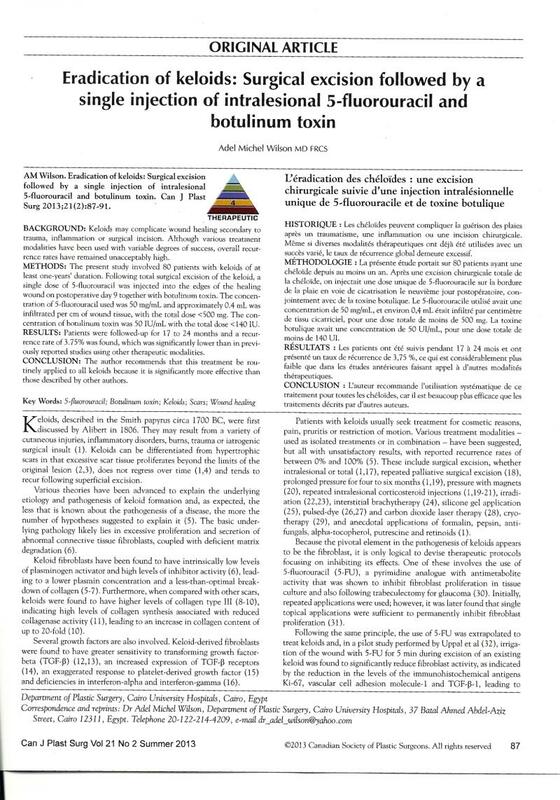 For 20 years, Dr. Wilson has been interested in devising new methods to treat that persistent condition, and he currently uses a technique that he invented and published worldwide, involving surgical removal of the keloid and single applications of 5-Fluorouracil and Botulinum toxin. 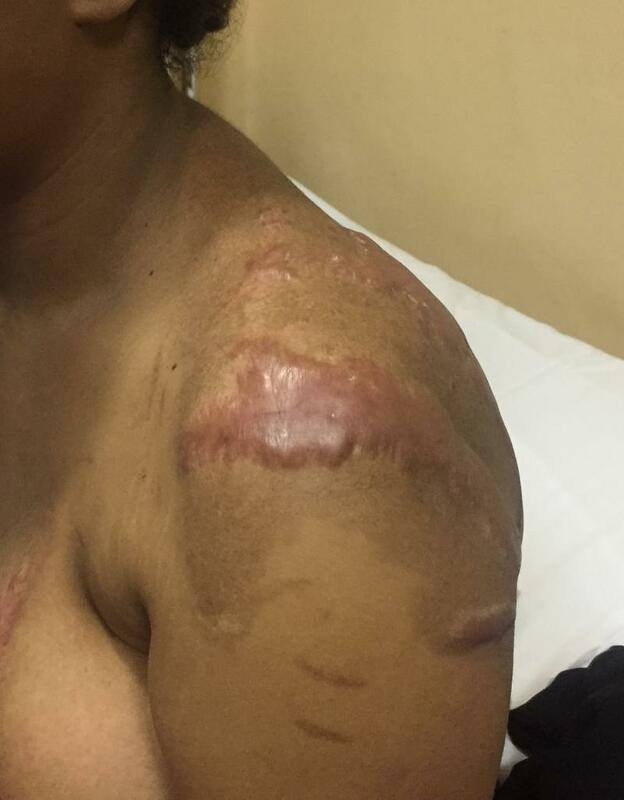 The fantastic effect of this technique is that it is only a single application, and the recurrence rates are less than 4%, something that has caused a breakthrough in the treatment of keloids. This novel treatment was published by Dr. Wilson in Canada in June 2013. 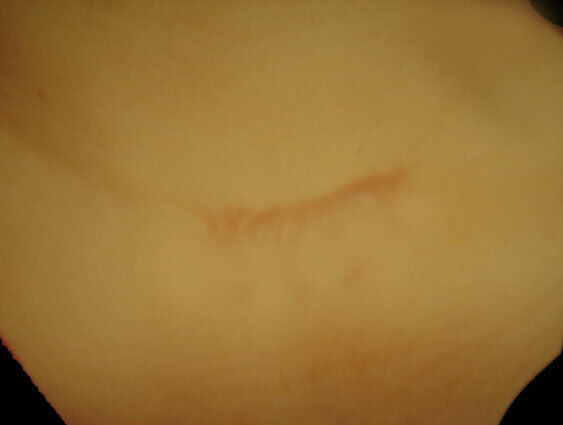 Recurrent Keloid in the front of the chest in a 33 year old female: Successful treatment by the new technique of Dr. Wilson. 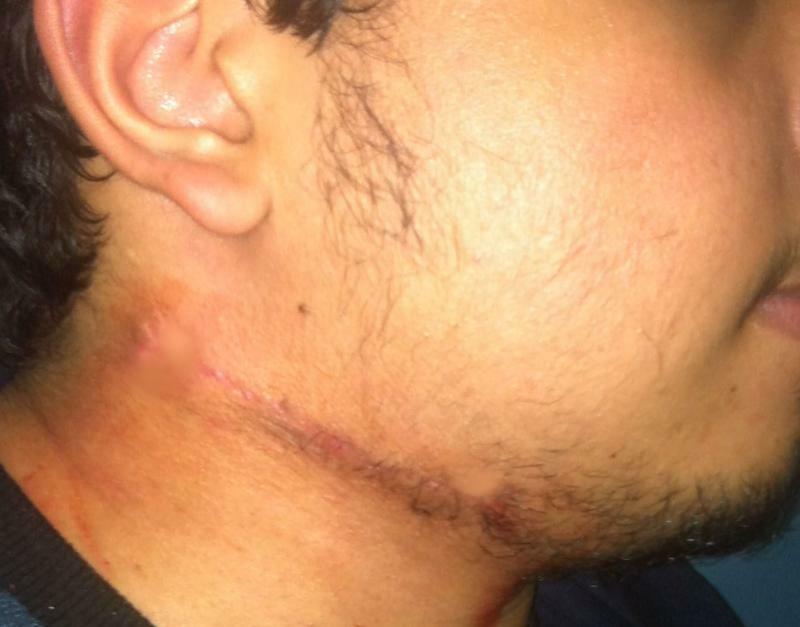 Resistant Keloid in the neck in a 22 year old male: Successful treatment by the new technique of Dr. Wilson.﻿Note also the change in position which has made it closer to the jaw line. 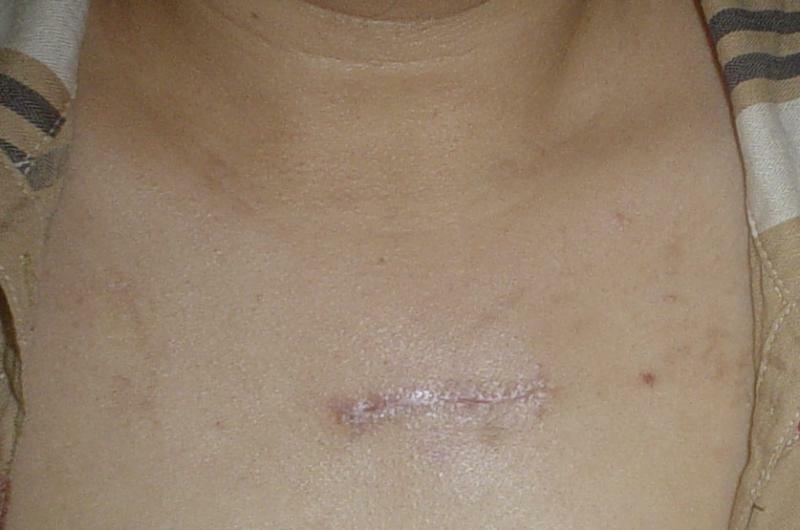 Recurrent Keloid in the front of the chest in a 29 year old female: Successful treatment by the new technique of Dr. Wilson. 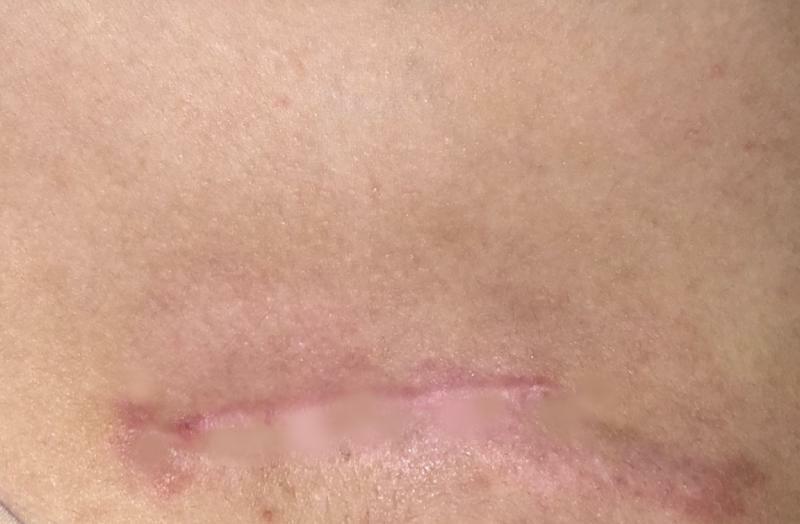 Recurrent Huge Keloid in the right shoulder of a 24 year old male: Successful treatment by the new technique of Dr. Wilson using surgery, Botulinum Toxin and 5-FU injection. 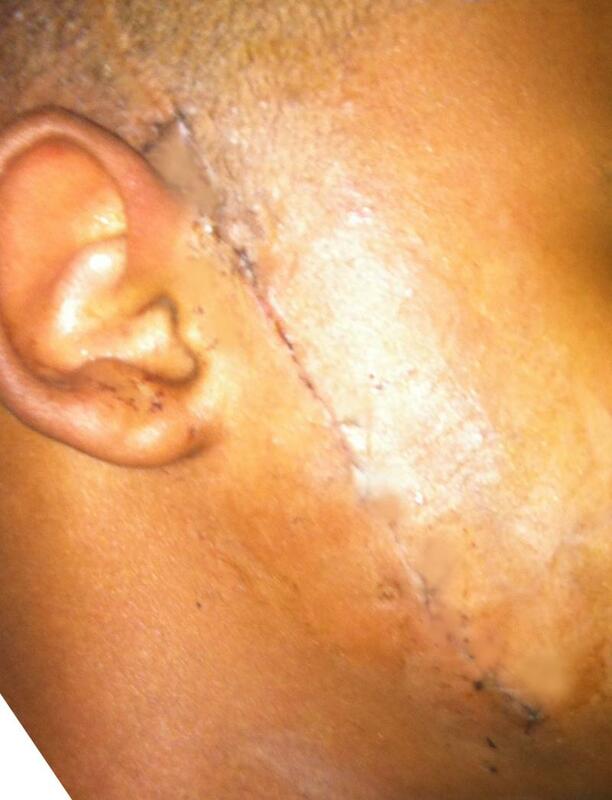 Huge Keloid in the right face of a 16 year old male: Successful treatment by the new technique of Dr. Wilson using surgery, Botulinum Toxin and 5-FU injection.﻿ Note depth of the keloid after it was removed.